One of the lactation consultants gave me this recipe during our hospital stay after I delivered Little Brother. I made them within a couple days of coming home. Nursing has gone pretty smoothly for me this time (knock on wood) but I still thought it couldn’t hurt to get a boost from the right foods. The recipe includes oats, brewer’s yeast and ground flax which all supposedly help increase milk supply. 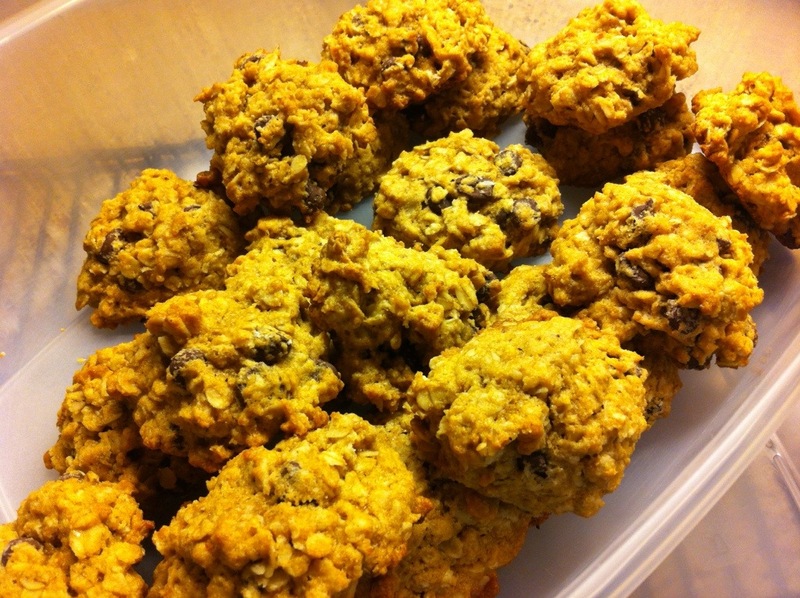 Even though they are called “lactation cookies” they are actually just really good cookies. Benzo and Big Brother liked them a lot so I thought I might as well post about them. You don’t need to be a nursing mother to enjoy these cookies! I ended up with just shy of 4 dozen cookies, so I must have made them a little big. I left about a dozen out and stuck the rest in the freezer. They turned out really delicious. I love oatmeal cookies. The texture is nice and chewy and I thought they were plenty sweet. I can’t imagine adding another entire cup of sugar. I will make these again and may experiment with honey as the sweetener instead of sugar. The cookies froze really well. I take a couple out each day to enjoy. I plan to stock my freezer with these when I go back to work to help keep my milk supply up when I’m pumping a lot more. The lactation consultant also gave me a recipe for pumpkin cookies. I’ll definitely be trying them soon once the weather starts to cool off! Great info and the recipe looks delicious, thanks!